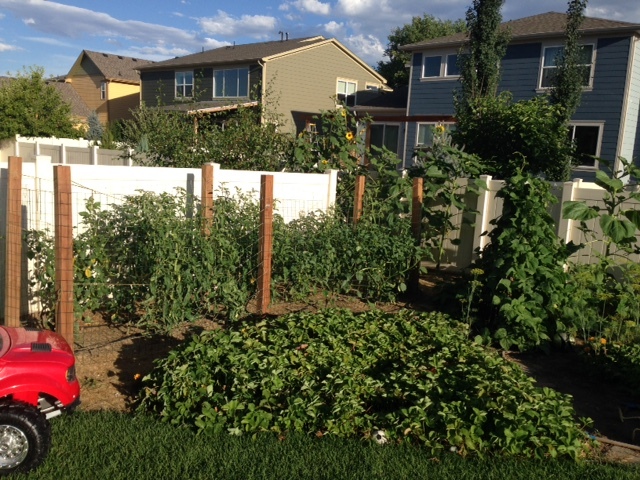 So it’s been a few too many weeks since I last updated about the garden. Oops, summer does that to me. Weeks go by, we are busy and having fun and playing and I forget to blog. A lot. 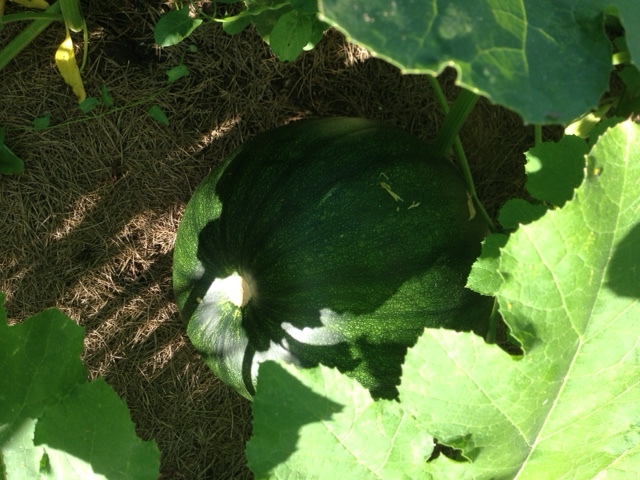 But alas, my garden has not forgotten to grow. Except for the broccoli that were eaten by the bunny before they even had a chance. 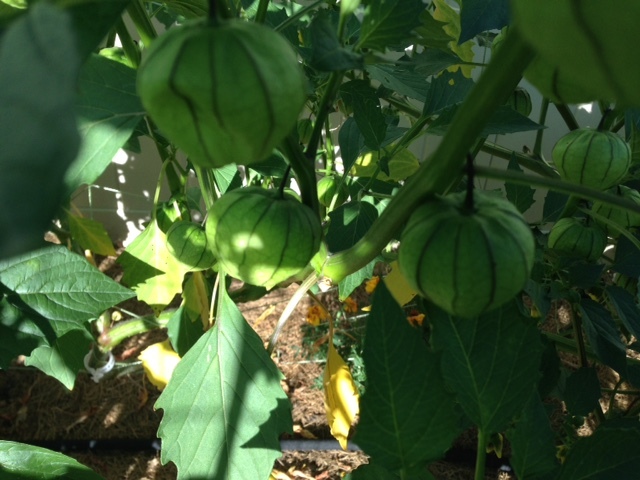 I have a bunch of tomatillos set on and I’m excited to see what they do, this is a first for us, we’ve never grown them before. 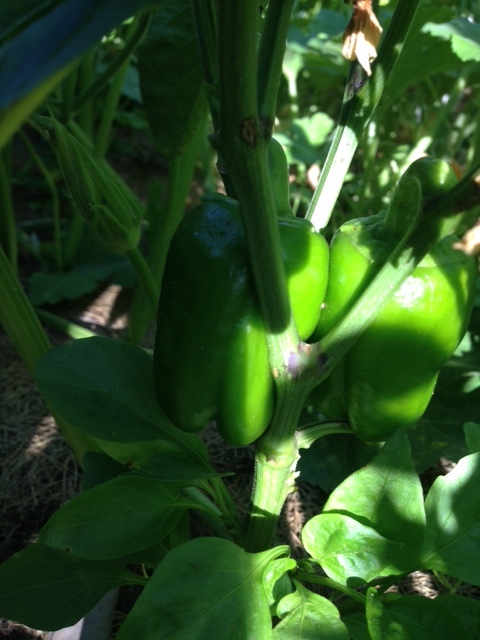 And somewhere in the mix of the tomatillos we also have tomatoes growing and they are slowly coming along. It has been a very wet summer and so they haven’t gotten the usual heat that they like. 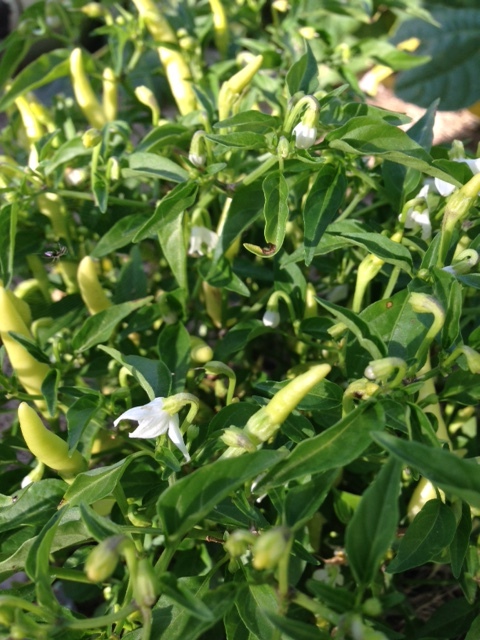 Speaking of heat, I’ve got some hot peppers growing. 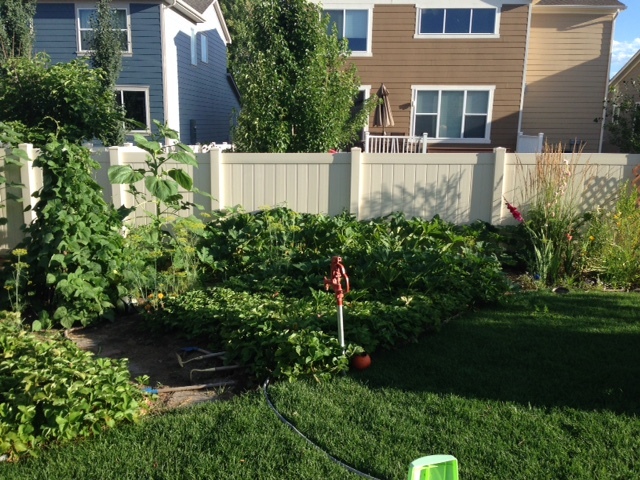 Unfortunately I have to keep trimming and pulling leaves off the pumpkins that are planted nearby because they are growing like crazy and have taken up residence in the pepper row (and around the beans and through the strawberries and now the grass…). Looking forward to some spicy salsa! We had our first fresh beans of the vine last night, there was only a handful, but they were good! 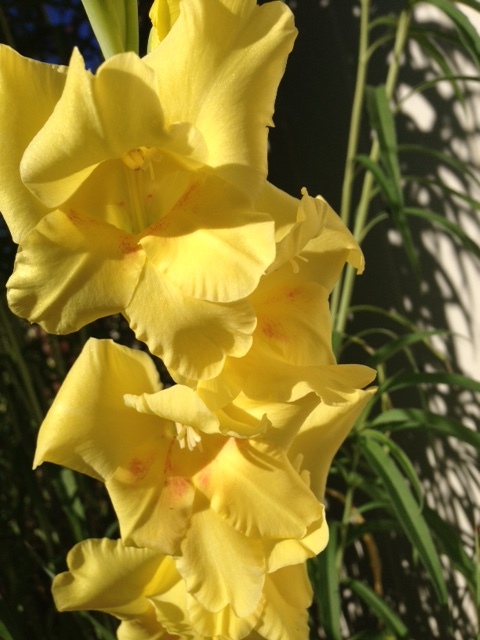 And my gladiolas are beginning to bloom and they are amazing! So there’s a quick update on the garden! Previous Post For The Love….